Heat the sunflower oil in a large pan and shallow-fry the aubergine in three or four batches. Once golden brown remove to a colander, sprinkle liberally with salt and leave to drain. Cook the noodles in plenty of boiling salted water, stirring occasionally. They should take 5–8 minutes to become tender but still retaining a bite. Drain and rinse well under running cold water. 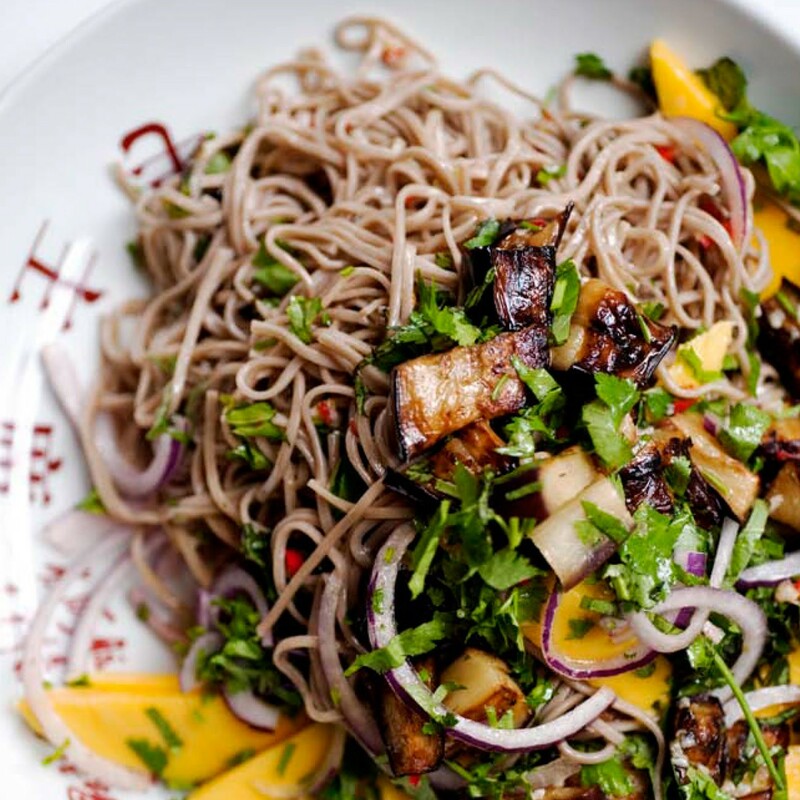 In a mixing bowl toss the noodles with the dressing, mango, aubergine, half of the herbs and the onion. You can now leave this aside for 1–2 hours. When ready to serve add the rest of the herbs and mix well, then pile onto a flat serving bowl.